Shawn McCormick’s friends worked at Apple Ford Lincoln, so he quit his job to join them twenty years ago, and never looked back. He is proud to now be serving a second generation of car buyers, as the children of loyal customers have started coming to him to buy their first cars, too. However, for Shawn, the highlight of working at Apple Lincoln Ford is watching his employees grow; he values seeing the energetic 20-year-old earn their first job and, five years later, transform it into a career. Shawn McCormick and Kim Rahbain believe that their people are their best asset. 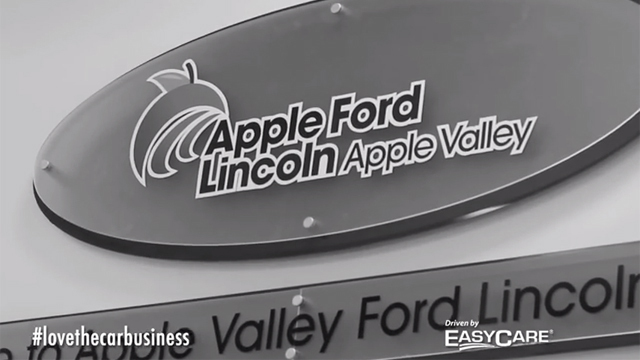 Apple Ford Lincoln employs a team of effective, happy employees that makes business easy. They work together not only to sell cars, but to serve their community by building cars for families in need. Being good stewards to their neighbors is a key philosophy that drives Apple Ford Lincoln’s success. Think you have story that's better than Apple Ford Lincoln's?